How ‘Green’ is your Green watercolour ?! Green, the colour of nature, new life and sustainability can never be green ! It is ironically toxic to all forms of life and environment! Green is the color of nature, which symbolizes renewal and growth. It also means balance, calm and harmony. 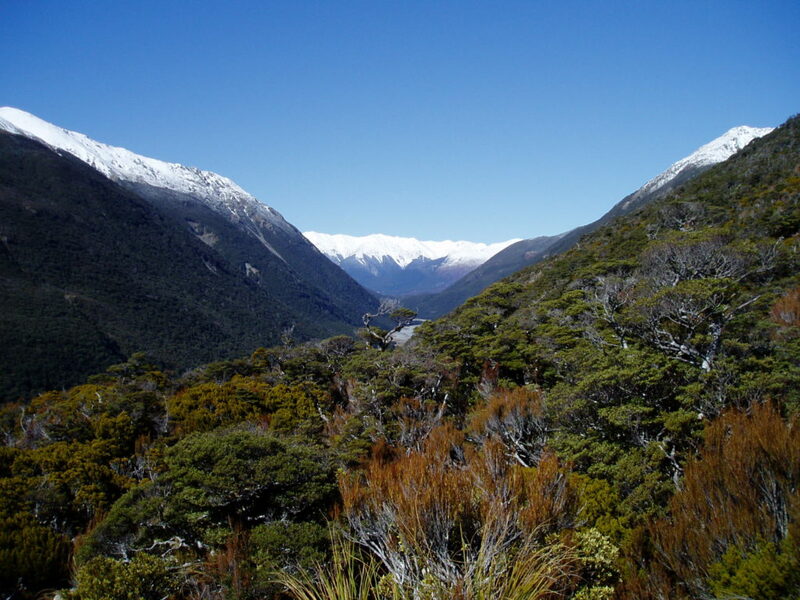 It is no surprise that we feel so invigorated when we are out in the open surrounded by the beauty of nature. 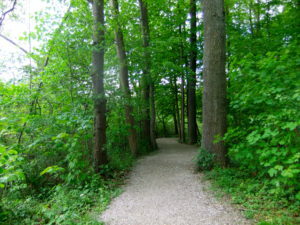 Such is the power of green, which manages to resonate with our inner energy, rebalancing us. Today Green is no longer just a color. It is the symbol of Ecology! But in an artist’s world, green has always been a troublesome color. Because mixing greens can be one of the major issues that can start to throw your landscape painting off-course. 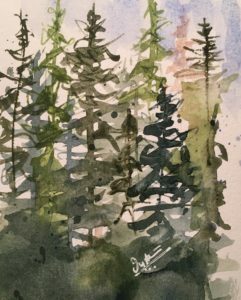 Green can be an Achilles heel for any artist, and the urge to grab premix green watercolor paint out of a tube can be hard to resist. Why is it so, I am not sure? Perhaps it has something to do with how we all actually perceive green. I don’t think there is one shade of green available in watercolor that depicts the beauty of nature in any season. That’s why I have always mixed my greens and that too using natural pigments because I strongly believe and enjoy painting in organic sensibility! One of the basic rules of elementary school art class is that blue mixed with yellow produces green. True, those two colors alone can produce many wonderful greens, assuming that the yellow and blue paints you are using are pure yellow and pure blue. If they have been altered from their pure forms, it will consequently alter your green as well. Mixing greens with genuine Indigo blue (NB1), Curcuma (NY3), Ercolano Red (PR102) and Gold Ochre (PY43). Lost in colours handmade watercolours. The chart on left shows the most delightful greens that I have achieved with my mixing. Notice all those green (rows 1-3) were made using only two of my own handmade natural paints Indigo genuine (NB1) and Curcuma (NY3). In the last two rows I varied the colours by adding a bit of Ercolano Red (PR102) and yellow gold ochre ( PY43). I sometimes also use Ultramarine blue (PB29) in my work to create several mixes of green with Py43. Infact, NY3 when mixed with PB29 also gives beautiful greens. Try doing several charts on your own to make some luscious greens! Toxic convenience Green watercolor paints ! While the color green evokes nature and renewal, the cruel truth is that most forms of the colour green, the powerful symbol of sustainability can be quite damaging not only to the human health but also to the environment. Infact, green color has a very toxic history. Whereas all shades of green look beautiful in nature! Today there are many green hues available in artists’ colours, I’m not going to make you the whole list as its beyond the scope of this article. Almost all greens contain chromium, cobalt, or copper, all of which are poisonous and cause or are suspected to cause birth defects and abnormalities. Phthalo Green (PG7 and PG36), probably the most popular green in use by artists today as it is capable of producing a vast range of useful colour mixtures ! Several studies have demonstrated that PG7 an organic pigment containing copper and chlorine can cause cancer and serious birth defects (read the articles 1 & 2 if you are really inclined) and they are quite toxic to the aquatic environment (links 1 & 2). Another popular shade, PG36, includes potentially hazardous bromide atoms as well as chlorine. Something to really consider is that phthalocyanine pigment manufacture is done primarily in the third world countries where safety regulations are not as strict and the risk it poses to the workers involved and environment is phenomenal. Remember these are innocent people whose lives are put to risk for meeting the demands of industries requiring that particular green color! Cobalt turquoise or Cobalt Teal (PG 50) is a noxious cocktail of cobalt, titanium, nickel and zinc oxide. Additionally, mineral pigments containing copper clearly come with a hazard warning such as Malachite (links 1 & 2) and Atacamite (link here ). Chromium, a carcinogen which causes birth defects, is found in Viridian (PG 18) and Chromium Oxide Green (PG 17). Cobalt Green (PG 19) contains cobalt. Green Gold (PG10) contains Nickel. The only acceptable greens are Green Earth (PG23) and Ultramarine green. Green Earths are more numerous, but one must take care that they have not been adulterated with one of the poisonous greens to produce a stronger color. Its true that the watercolor paint contains insufficient quantities in a pan or a tube to be acutely toxic or injurious to humans but pigments in dry state are far more dangerous if precaution is not taken. Caution the blues and yellows are no different either ! The heart of the problem is that green is such an elusive color to manufacture that toxic substances are often used to stabilize it. Ironic isn’t it? So, next time you’re tempted to buy something in any shade of green, be prudent and just remember how poisonous that color was in the past, and can be today. Most importantly, know what you’re working with, what are the risks to your health, to those who manufacture the pigments and your environment! 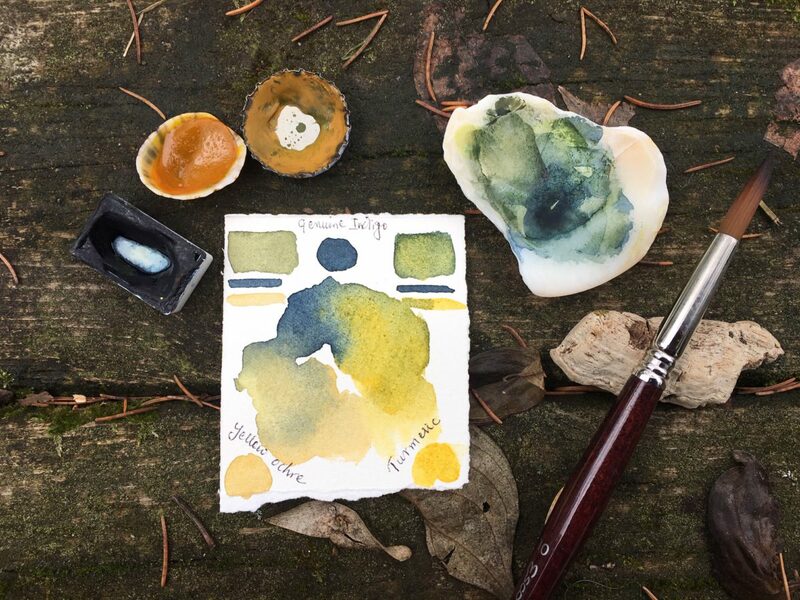 Alternatives to toxic green watercolors certainly does exist but the question is are you willing to make that choice to your art practice? Something to ponder over! Nature is not a place to visit, it is home and we don’t destroy the home where we live in! Rossol, Monona. Artists Complete Health & Safety Guide 3rd Edition, Watson-Guptill Publications, New York 2001. DISCLAIMER: This article concerns itself with the common sense safety aspects of art materials and art safety in general. The intent of this article is merely to raise individual awareness of some of the issues involved and to encourage the reader to take steps in learning more about the factors involved with the hazards associated with art materials. The author may change the contents of this document at any time, either in whole or in part. Author jyotsnaPosted on 15th December 2018 15th December 2018 Format LinkTags art safety, art supplies, artist, artist materials, artist supply, earth-friendly, environmentally friendly art, handmade watercolours, studio prcatice, substainable art, watercolor supplies, watercolorpaintings, watercolorsLeave a comment on How ‘Green’ is your Green watercolour ?! Art or Environment-What matters to you the most? It’s a delightful feeling when you get excited to create something, and then venture forth and share your creative endeavour with the rest of the world. I am talking about the current trend of handmade watercolours. I too am a watercolour paint maker and an artist who uses them. I started using handmade paints when it came to my notice that some of the commercial ones were quite toxic, not only to the humans but also to our environment. I have also observed that many of the handmade paint makers use pigments that are of toxic nature and market them as non-toxic. Which I think is probably more due to ignorance rather than deliberate. Which makes me think, how many handmade watercolour paints that are out in the market carry correct label and information for the end consumers? I have mentioned this in my previous posts that the next best thing you can do before you buy your art supplies is to inform yourself. Always read the label of your supplies and choose environmentally friendly and/or non-toxic supplies. 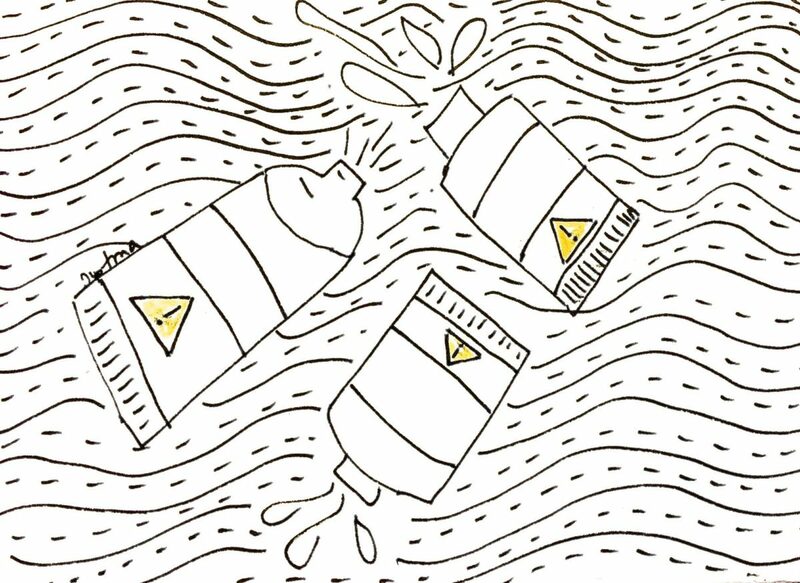 Toxic art supplies and materials are those that are harmful if inhaled or ingested, or that cause harmful reactions when in contact with skin. These chemicals are dangerous to flora and fauna for the same reasons. By knowing what materials are toxic and by limiting their use, you can help improve the overall environmental impact of your studio or art practices. Whilst some of the inorganic pigments have been very well studied for their toxicological effects, data for others is not available and should therefore be treated as toxic. It’s beyond the scope of this article to discuss every pigment in detail. The following list only serves as a reference guide. Needless to say, art is a great contribution to the world. It has been existing since thousands of years and it is here to stay! It inspires us, boosts our creativity and has a calming effect on us. However, sometimes the process of creating art can end up hurting more than benefiting. Working with watercolours or any other kind of art supplies, which are of toxic nature, often have serious detrimental effects on our environment. I take great care and do my best in having reduced or when possible negligible environmental impact with my art practices. Which is why I don’t use any paint that contains heavy metal ions. My watercolour palette is rather very limited consisting primarily of ochres (no known toxic effects at least), a couple of ultramarines (toxic if ingested) and a sparingly used pan of quinacridone red. It is important to remember that protecting our planet is just as important as bringing beauty to it. By making a conscious choice in selecting your art supplies will help reduce the environmental impact of your studio practices. We only have one planet, and while your art helps to add beauty to it, we all can help protect it at the same time. DISCLAIMER: This article concerns itself with the common sense safety aspects of art materials and art safety in general. The intent of this article is merely to raise individual awareness of some of the issues involved and to encourage the reader to take steps in learning more about the factors involved with the hazards associated with artist’s materials. The author may change the contents of this document at any time, either in whole or in part. 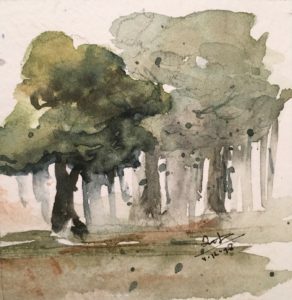 Author jyotsnaPosted on 16th May 2018 16th May 2018 Tags art supplies, artist, earth-friendly, environmentally friendly art, handmade paints, handmade watercolours, studiopr, watercolors, watercoloursLeave a comment on Art or Environment-What matters to you the most? 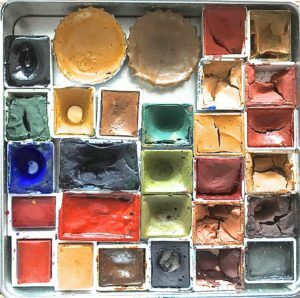 What’s in your Watercolour Paint? Hazards in the art world often aren’t taken very seriously. It’s hard to see artists as people who are engaged in a dangerous field. Had I not been a scientist, I too would have remained oblivious about the perils lurking in artist’s world ! It comes as no surprise that artists through history have been called by many names-geniuses, crazy, dreamers, unemployed-but rarely chemists! There can be a lot of mystery when you go to purchase paints, especially if it’s your first time buying a particular medium. I remember, when I first bought a pan of watercolour paint from a local art store, I was quite alarmed to find out that the paint contained preservative of harmful nature. I started exploring alternatives to commercial paints that didn’t contain such toxic preservatives or pigments. I soon discovered that there were a couple of handmade watercolour paint makers who provided artists with non toxic and high quality paints. The experience of working with such handcrafted watercolour paints was quite delightful. The art of handmade watercolours piqued my interest in learning about the process. That’s when my journey as a paint maker began! It was definitely not easy. I did an extensive research in understanding about different kind of pigments, their chemical properties and most importantly any potential hazards associated with pigments to human health and environment. By definition, pigments are particles of coloured materials that are insoluble in water, oil and resin. Although, when suspended in liquid binders or vehicles, it transforms into paint. 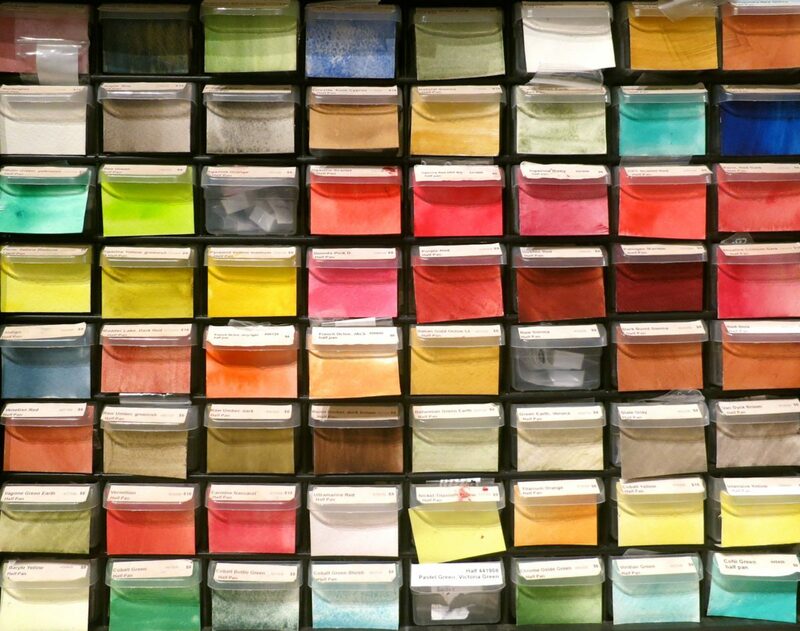 The binder or vehicle used with each pigment, as well as the size and shape of the pigment particle, determines the type of paint that is created. Pigments are classified into three basic categories, that a manufacturer mayuse when creating paint: natural organic pigments, synthetic organic pigments and inorganic pigments. Organic pigments ( natural/synthetic) : These pigments are derived from plant or animal sources, or they can also be chemically synthesized ( eg, quinacridones). Natural organic pigments are made from carbon compounds that exists in nature. In prehistoric times, early humans found many natural organic colourants in the minerals occurring in soils and clays. Cave paintings using red- and yellow-coloured clays date from at least 15,000 B.C. As long ago as 8,000 B.C., artists in Egypt had discovered how to process animal products and vegetable matter into useful and fairly stable colourants. The pigments from plant and animal sources tend to be safe – but the colours do fade, making them “fugitive” colors. Although, the long term effect of these colours are as such not known. In recent times, there has been a phenomenal increase in the number of handmade watercolour paint makers. My research in this field till date tells me that paint labeling is probably the least interesting topic on watercolour paints … its like reading a safety tag on your mobile phones. Unfortunately, boredom leads to lack of concern, and eventually leads to ignorance, and it is this ignorance that paint manufacturers exploit through marketing. The crux of the problem is that paint manufacturers (including small business owners who are watercolour paint makers) can name a paint anything they want. The result? If the marketing name is all you rely on, it is impossible to tell what is in your paint. Knowing the safety of artist’s material is a subject of high importance and must not be overlooked. Let’s quickly recap some of the elements we know are bad for human health: Umbers, Sienna, Mercury, Lead, Cadmium, Chromium VI. Hazardous compounds to note: Copper and Cobalt compounds. Common effects from these various substances include cancer, nerve and organ damage. 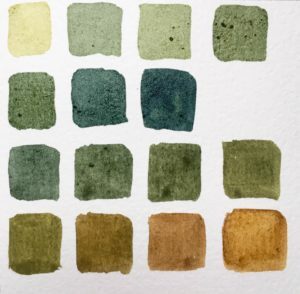 Some artists (including me) strongly attend to the health or environmental impact of the materials they use, and in a few cases watercolours do present some problems. Environmental impact occurs through mining or raw materials manufacture and the disposal of manufacturing wastes. 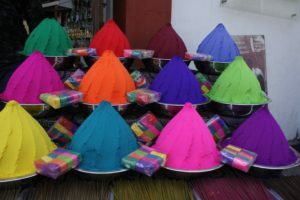 Unfortunately, though many high quality pigments are manufactured in Europe, Japan and the USA, the environmental consequences of industrial pigment manufacture are increasingly being exported to the Third World (China and India in particular), whose environmental laws and enforcement are of a different kind. This is one reason why pigments can be made there so cheaply and just remember its a hell on the health of factory workers and their living environment. Unfortunately, I know of no way at present to find out whether all pigments are manufactured in an environmentally friendly way, because (for proprietary reasons) paint manufacturers do not disclose where they buy their pigments, and there is no easy way to obtain trustworthy environmental impact statements from specific pigment manufacturers in, say, China or India. Artists or painters have no effective control over these upstream environmental impacts. My purpose is not to frighten but to inform, so that, next time you are at checkout line at the art store or making an online purchase you can make a wise choice. That said, watercolours should always be handled with reasonable care and applied with appropriate techniques. They should be kept out of the reach or unsupervised use of children. And watch out for your pets! Author jyotsnaPosted on 28th April 2018 15th May 2018 Tags artist materials, earth-friendly, environmentally friendly art, studio practicesLeave a comment on What’s in your Watercolour Paint? Respect a few rules ! The art of paint making has been existing for thousands of years. Today’s paint making process is perhaps no different than how it was several 100 years ago. At the time when commercial colours were not available artists made their own paint, or had an assistant or colourman make it for them. The pigments were ground by hand on a flat piece of marble or glass using a glass muller. Its no doubt that making beautiful pieces of art is immensely rewarding for artists. Since we have been around paints since an early age, we don’t realize it could be dangerous in the long term. I’m sorry to remind you so: paints are mildly toxic. The kid’s ones too are a bit toxic, most of the time. The toxic effects are due to chronic exposure. Having a science background has helped me a lot in understanding the process of paint making, researching about a pigment, its chemical composition, properties and most importantly if there are any hazards associated with pigments that I am working with. From pre-modern times when medical science was still ill-equipped to determine common threats, to the present day, when artists often still put their art before their well-being, certain art supplies have been a source of peril for countless painters and sculptors—and have done serious harm to some of art history’s most famous names. Early artists were unaware of the hazards of many of the materials they used, but information on the topic is readily available today. While the long term improper use of your materials could have serious mental and physical health consequences, with proper safety precautions, awareness and common sense, these potential hazards can be mitigated if not avoided completely. This blog post focuses on the safety precaution every artist and paint maker should take into consideration. A few items bear repeating: Read the label. Acquire MSDS from your supplier. Inform yourself about the pigment you are dealing with. Learn what it means. Learn what should be on the label. Choose safe materials. Use proper techniques, handling, safety gear (a must for everyone) and safety precautions. Keep you and your area clean. Use proper cleanup and disposal methods which is in sync with your city council and environmental regulation guidelines. All chemicals and pigment powders can be toxic if not handled correctly. Wear respirator and protective gloves and clothing. Chemicals and pigments should only be handled in strict laboratory conditions away from food, pets and children. Wash your hands thoroughly after you have finished painting or paint making. As an artist and a paint maker I always like to work with pigments that are not only non toxic but also do not cause harm to the aquatic life. I don’t like working with handmade watercolours where the pigment classification number is not mentioned. Be informed and Be safe … paint to your heart’s content, as simple as that! Author jyotsnaPosted on 15th April 2018 15th May 2018 Tags artist materials, earth-friendly, environmentally friendly art, studio practicesLeave a comment on Respect a few rules ! 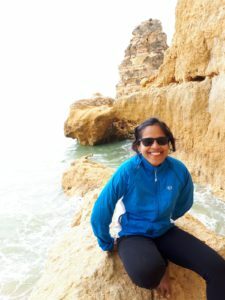 Hi , I am Jyotsna. I am a scientist and a watercolour artist. Although, I like to designate myself as a creative entrepreneur working towards making a social impact. Art and science are usually perceived as two opposing disciplines with very little overlap, the fact is that they have long existed and developed collaboratively. 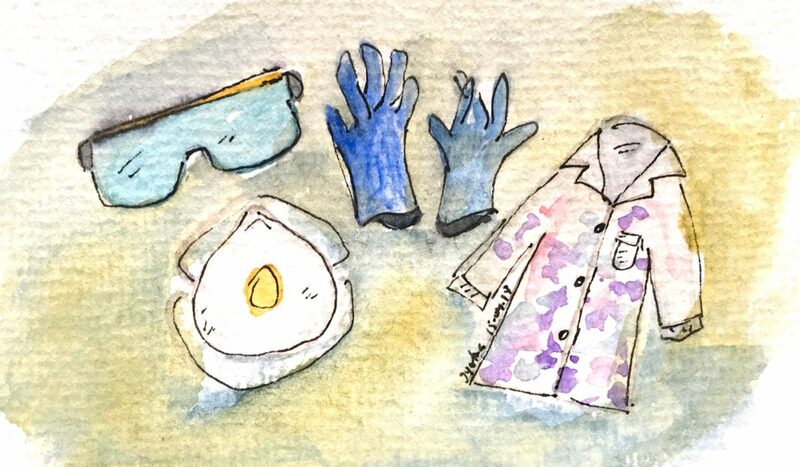 Science has taught us that not all the supplies in an artist’s studio is safe. I am here to blog about health and safety hazards that are associated with the art supplies.